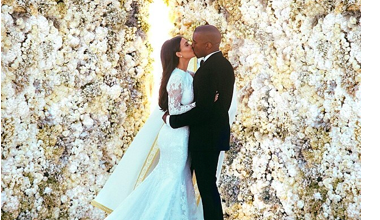 Love them or hate them Kimye’s wedding picture is the most liked picture on Instagram, ever! Currently up to 2.1 million and climbing likes, the celebrity couple is activating her base. Why this is relevant for you? Kim’s goals are to bring her fan base wherever she goes thus building numbers (something every brand wants). 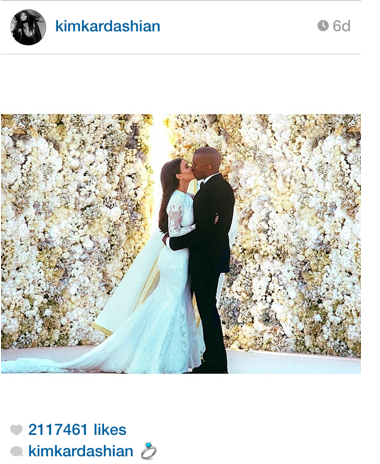 Showcasing her wedding photo on her feed is how she captures and keeps her own content before other news outlets capitalize on her celebrity for their good. We see how Kim Kardashian utilizes best practices for Instagram. Instagram is authentic sneak peak into either a brand or personal brands’ personality. Let this be creative inspiration for you on how can you tune in and utilize your own customer base.